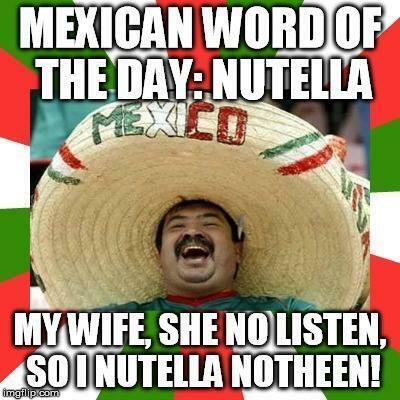 Mexican word of the day: Nutella My wife, she not listen, so I nutella notheen! Cancel: I cancel my daughter! Calculator: I eat now and do the cacalater ! My wife, she not listen, so I nutella notheen!